There are two hour meter bays along Devonshire Road, these are operational between 7am & 7pm Monday to Saturday, Sundays and Bank Holidays are free. Alternatively the residents" parking in the surrounding streets is unrestricted between 12.30pm and 4.30pm Mon- Fri and after 12.30 on Saturday. Our closest underground station is Turnham Green which is just 350 meters away from the restaurant. By train, Euston is a 30 minute journey (change at Willesden Junction). The nearest station to the restaurant is South Acton which is a 20 minute walk away. 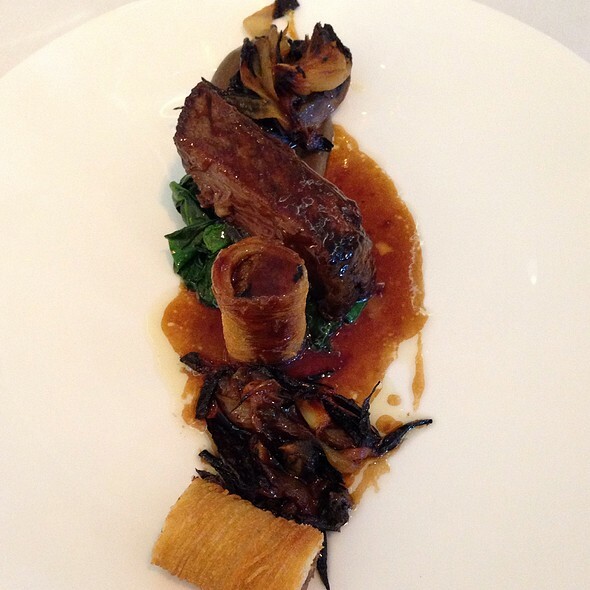 La Trompette is 6 miles, or a 20-25 minute cab ride from Central London. 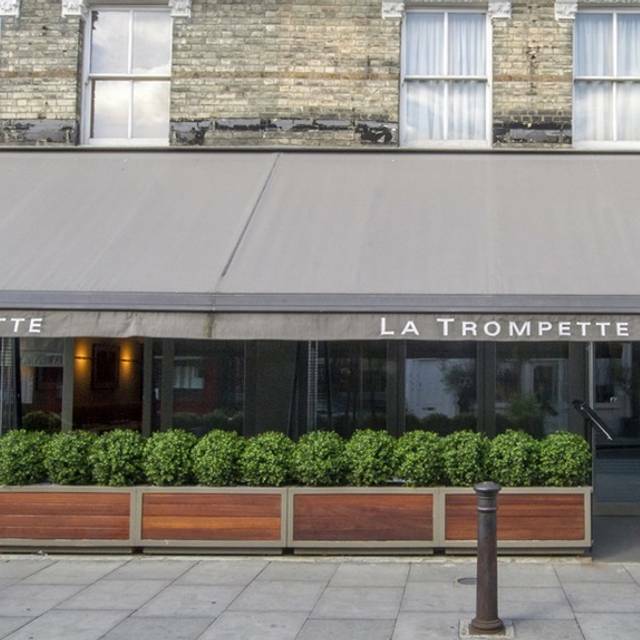 La Trompette is owned by Nigel Platts-Martin and Bruce Poole, the partnership behind Chez Bruce in Wandsworth and The Glasshouse in Kew. 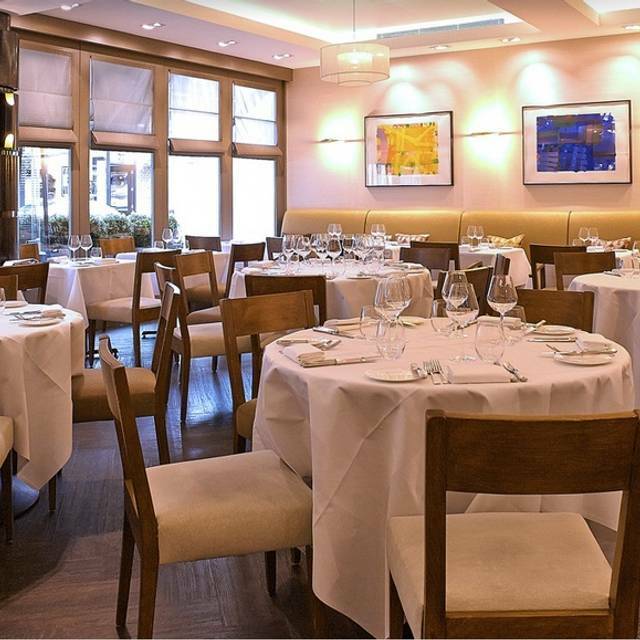 It therefore serves some of the best food in London but without the formality or prices associated with the capital's top end establishments.The comfortable and stylish dining room is a vibrant, busy and friendly place to be with service that is highly professional yet relaxed and informal. From the outset La Trompette has been showered with accolades, a reflection of the love, care and energy that is invested in the restaurant by the dedicated team behind it. La Trompette was awarded a Michelin star in 2008. 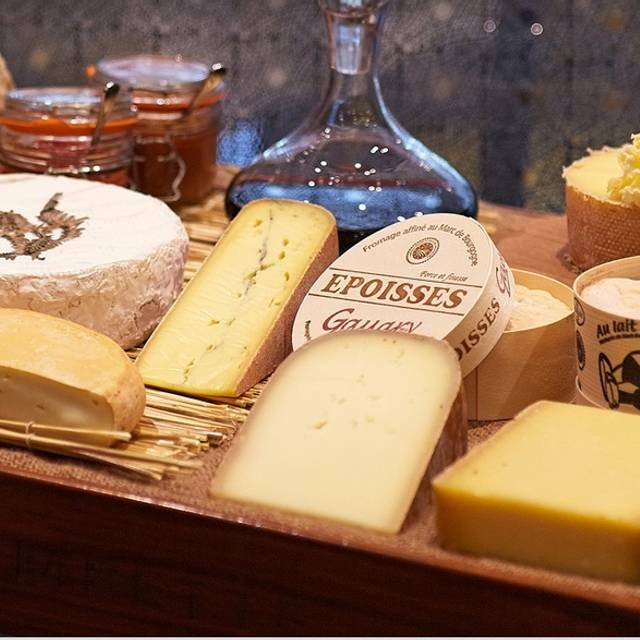 We love treating ourselves to a meal at La Trompette; the food is consistently delicious, the service top notch and attentive. But also friendly and warm hearted, which can be rare in restaurants at this level. Special shout out to the sommelier and manager! We have neglected La Trompette for several years but it is just as ‘good’ as always... Good means fabulous dishes, perfect service and overall a wonderful dinner! Thank you ‘team@latrompette’! Excellent food, excellent service. Thoroughly recommended. As always, very good food, consistent warm welcome and atmosphere, very good service. A pleasure to go. The lunch time menu is very good value. Truly outstanding without being pompous in any way. We had the most delicious food and wonderful service as well as fantastic wine at very reasonable prices for the quality and particularly liked the way we were not rushed in any way unlike some restaurants that will only allow you a 2 hour seating. We had the tasting menu, which at £75 for 8 courses I believe is outstanding value (no wine)! My wife is pregnant and the restaurant happily adjusted the tasting menu to accommodate like giving her the option to swap out one of the starters for something from the a la carte menu or cooking the scallop all the way through. Service, as expected, was very good. Quite noisy but not in a bad way. 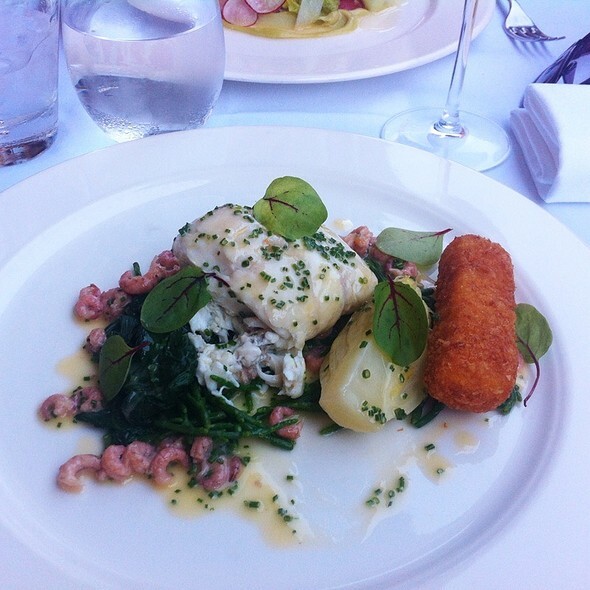 Sensational food, attentive and helpful service, great wine list, lovely room. 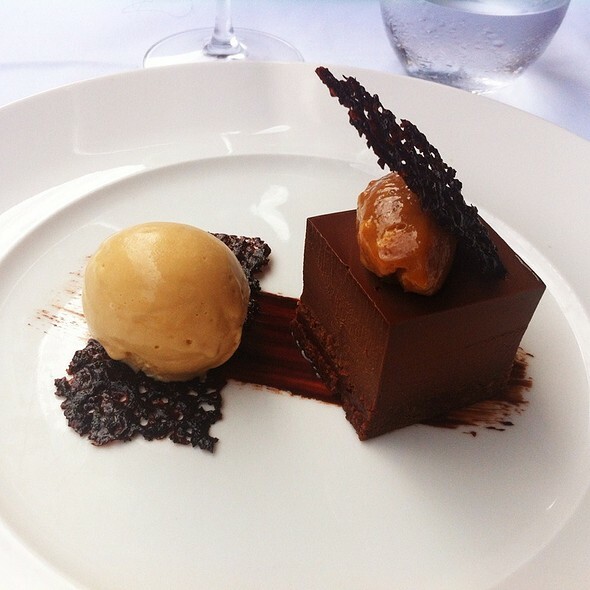 The team simply gets a fine dinning experience spot on - relaxed elegance, superior well portioned food - such a treat. Lovely meal throughout. Food was of a very high standard, service was excellent. Would definitely recommend! Excellent service and food. A bit loud as the tables are very close to each other. 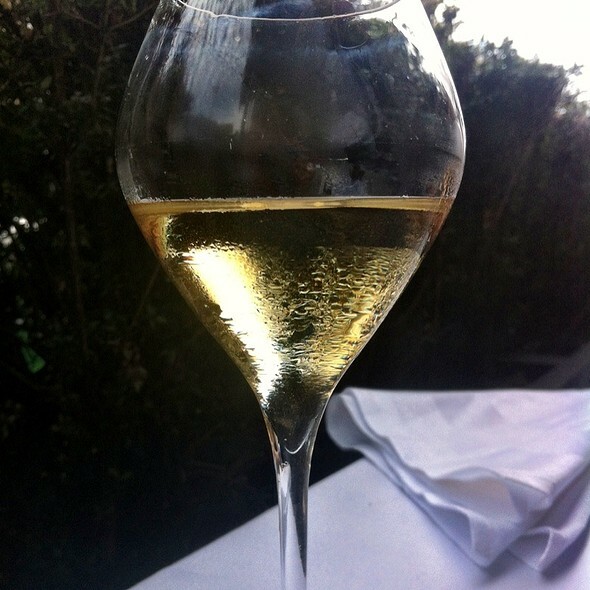 We had the perfect sunday night at La Trompette and will definately come back. The food is fantastic and the staff very nice. If I would have to complain about something it would be that the waiters didn't really explain the food good enough and not everyone was aware of my partners nut allergy (we mentioned it when booking the table so I would have expected them to know about), our red wine was also a little bit too cold for ou4 taste. Overall it was a great experience though! Excellent value for what you get and the food quality was superb. My only criticism is that while some of the staff were fabulous, some were a little gruff and awkward. it's expensive. but it's worth it............!!!!! 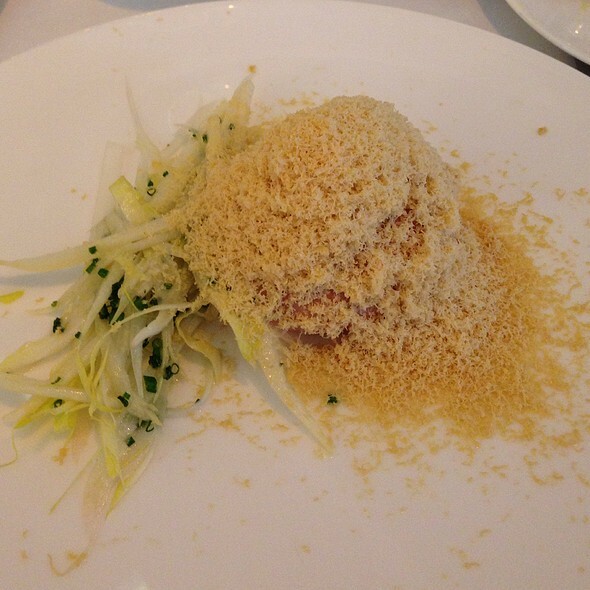 La Trompette deserves its Michelin star. Lovely evening. The staff where very thoughtful and attentive. Food was delicious. Another fabulous meal at one of our favourite restaurants. It’s a bit pricey but well worth it. This has been the worst Michelin star I have ever been. Food was far from been amazing, just an average French restaurant, expensive, boring atmosphere, nothing exciting about the experience. We had to wait 30 minutes on "the bar" (where all empty glasses were being dropped), we had to wait 30 minutes between dishes at 11pm on a Friday, none of the food really got us impressed. Amazing food.One of the best meals I had in a long time. Not worth the money. Food took too long to come out, wine list overly long and too expensive on the whole. Great food. Restaurant not happy to have a small baby, sat us away from the main dining area facing into kitchen door and staff service area (despite restaurant being empty on arrival and just under half full when we left). Were told on arrival the ‘policy is no children’. Nice ambience, the staff is amazing, made us feel very comfortable and were very accomodating and the food is just delicious! Made a great choice for a 10 year anniversary!! Great experience ! Thanks ! Everything about our experience at La Trompette was incredible. 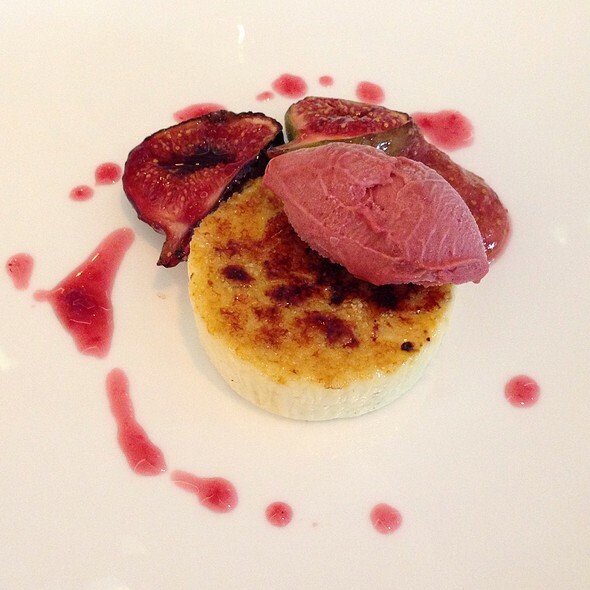 Well crafted imaginative dishes and flavour combinations and each dish (we tried a lot!) was delicious. Well deserving of its accolades and definitely worth visiting again. Recommended. Especially the incredible desserts!! Another superb meal at the best restaurant in West London.